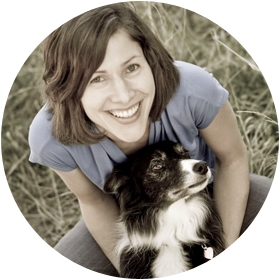 PawsAbility was established in 2007 by Janice Olynich, a Certified Prosthetist with a passion for animals and innovation. Janice's early interest in animal care started when she took a part-time job at a veterinary clinic while in high school. After taking a different path with her formal education, Janice obtained an Honours degree in Kinesiology from the University of Western Ontario. Her post-graduate studies were done in the field of Prosthetics & Orthotics at George Brown College in Toronto. When she came to the city to study she began working part-time at Westside Animal Hospital and kept that job for seven years, while studying and later while working full time. After graduating from the Clinical Methods in Orthotics and Prosthetics program, Janice began working at the Sunnybrook Health Sciences Centre in their prosthetics department. A chance opportunity to fit a dog with a prosthetic leg led to the idea of creating a Toronto-based custom prosthetic and orthotic service for animals. In the years since its establishment there has been increased awareness of the products that PawsAbility offers, and enthusiastic acceptance by the many veterinarians who refer to this unique service. Janice now works regularly with veterinary surgeons from the major rehabilitation and referral centres in and around Toronto, and as well with the University of Guelph Small Animal Clinic. Up until July of 2011 Janice remained involved with prosthetic care at Sunnybrook, but now devotes all of her time to PawsAbility.